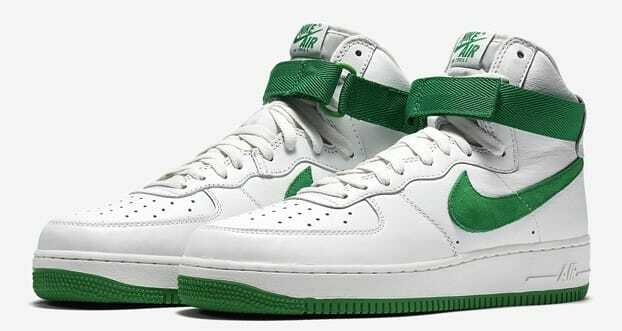 Last year Nike announced the return of its "Color of the Month" Air Force 1 release schedule, and the brand has been keeping its promise with consistent drops of the O.G. 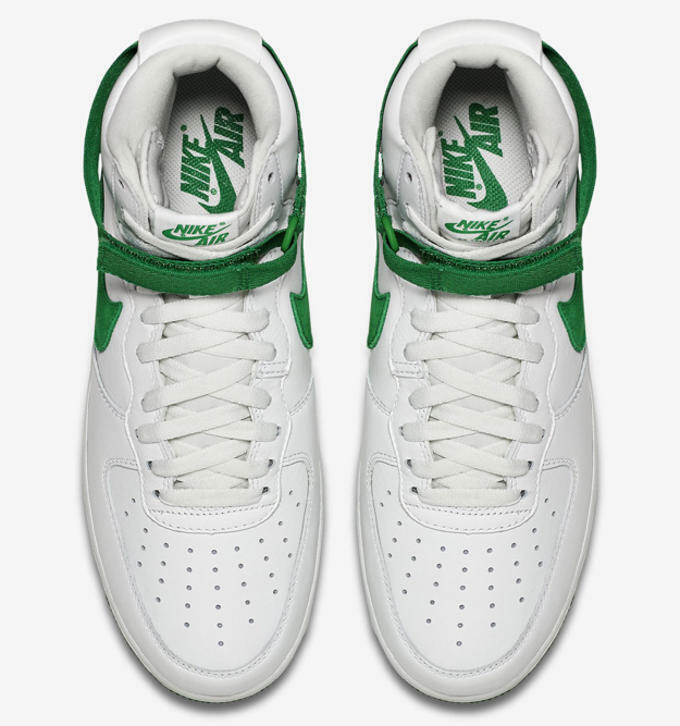 high model. 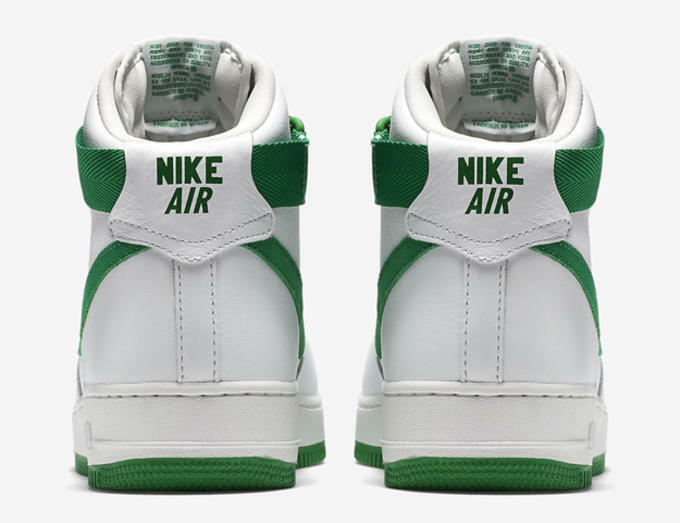 The latest colorway to emerge comes in white and green, making it great timing for the month of March. 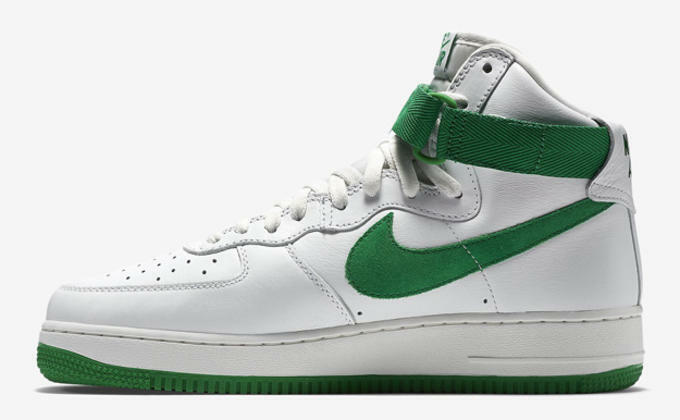 While it would have made sense for this sneaker to drop sometime around St. Patrick&apos;s Day, we haven&apos;t got a release date yet, so it looks like it may miss the holiday. 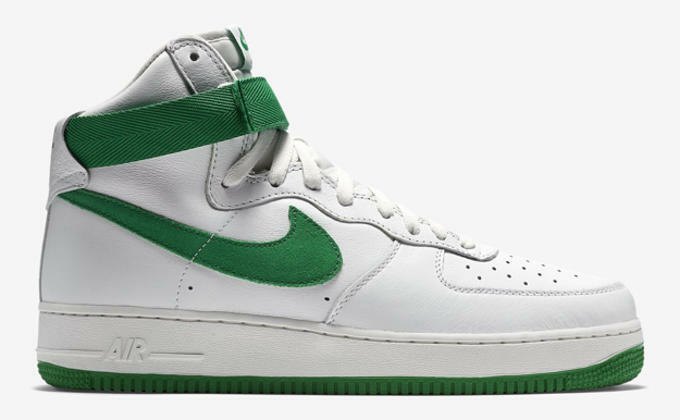 Even if you won&apos;t be able to rock these on March 17, it&apos;s still a great chance to own a version of the Air Force 1 that is very comparable to what Nike was putting out in the 80s.